Social Security Disability Payments for Spouses - Harrison White, P.C. Marriage can affect your Social Security Disability Insurance payments in a number of ways. Because the rules can become complex, the best source of information is either a representative of your local Social Security office or a knowledgeable SSD attorney. The following information applies to the effect of marriage on Social Security Disability and your spouse’s eligibility for benefits. Social Security calculates your disability payments based on your individual work history. Your spouse’s work history, assets, or other resources have no bearing on your payments. Taking care of your adult disabled child. The payment amount depends on whether your spouse is currently receiving Social Security benefits or would reach full retirement age in the next few years. Your ex-spouse is eligible to receive spousal benefits if he or she was married to you for at least 10 years, is currently unmarried, is age 62 or older, and is not eligible for higher Social Security payments on either his or her record or someone else’s. The amount paid to ex-spouses does not change the payment amounts you or your current spouse receives. The Social Security Disability Insurance Program provides financial support for the survivors of beneficiaries. Even if your spouse or ex-spouse(s) were not receiving spousal benefits before you died, they can apply for survivor benefits. They can receive up to 100% of your full Social Security Disability payment. 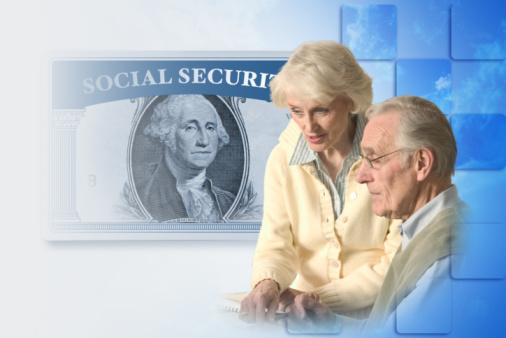 The amount depends on their ages and current Social Security benefits. Working or remarrying before a certain age (50 if disabled, 60 if not) will also affect payments.